Holidays are a great excuse for extra learning fun, and I am a huge fan of theming out the different learning areas of our classroom when I can! 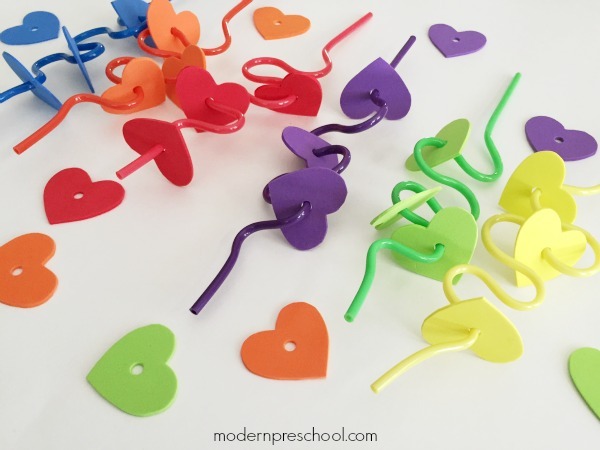 This color sorting hearts busy bag is going to be a huge hit with my preschoolers who will get also work on their fine motor skills while practicing colors and sorting. To put together busy bag you need different colored craft foam and twisty straws. 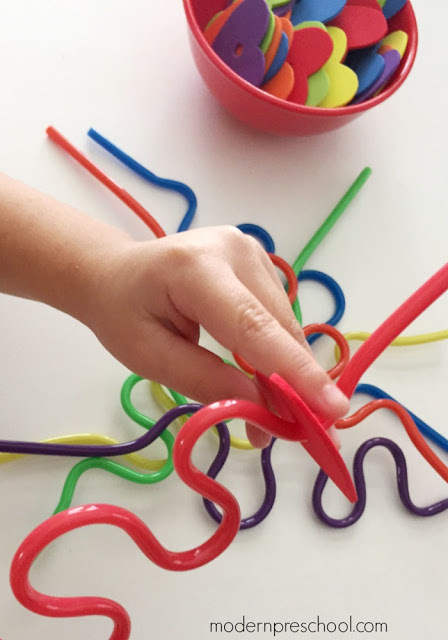 Make sure that the twisty straw s and the craft foam include the same colors. In our color sorting hearts busy bag, red, orange, yellow, green, blue, and purple were used. The pack of straws that I used were found at the dollar store. You can also find similar straws here online. To create the hearts, I cut a heart out of paper the size that I thought would be good for my preschoolers. I then used the paper heart as a tracer for my craft foam hearts. It took a little while to cut out all the hearts, but I wanted to make sure there were enough to keep my preschoolers busy and offer a bit of a challenge to their little fingers. In my classroom this activity will sit at a table with 2 chairs, so there will be 2 preschoolers working on the sorting activity at a time. After the hearts were cut out, I used a handheld hole punch to make a hole in the middle of each heart. A regular hole punch worked easily to do this! After your hearts are full of holes, it’s time to play! 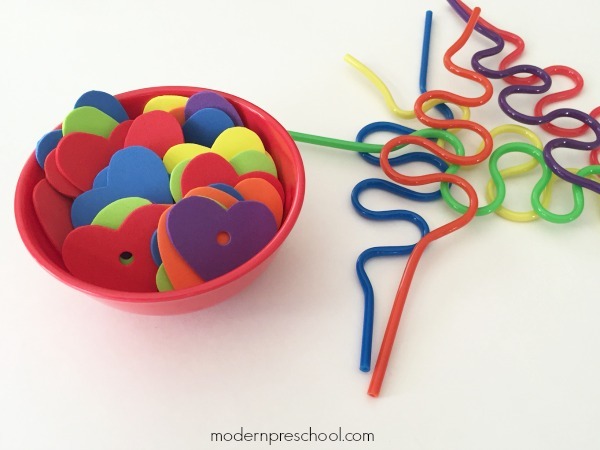 The object of the Color Sorting Hearts Busy Bag is to match the colors of the hearts with the colors of the straws. Each straw will only have the same color heart on it. 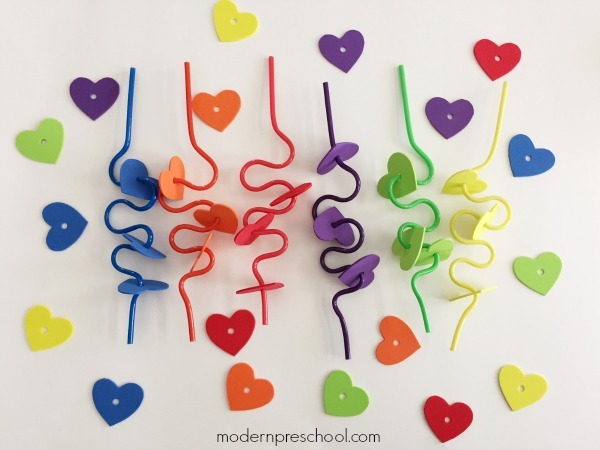 Add each color heart to its matching straw by wiggling it down the straw and over the bumps. Continue until each heart is on the correct straw! 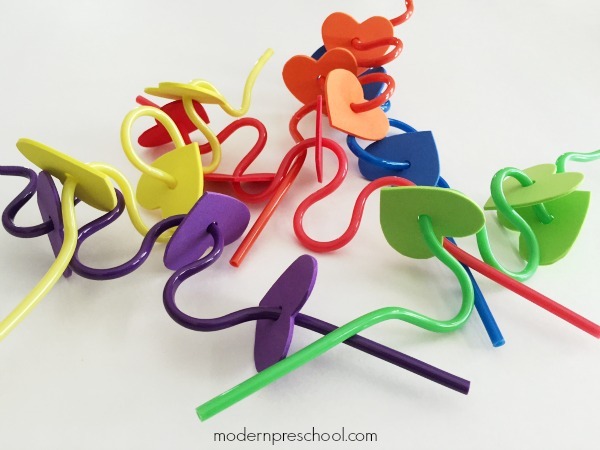 Before leaving the area in the classroom (or before putting the straws and hearts back into the busy bag holder), don’t forget to take the hearts back off the straws. This adds to the fine motor practice and strengthening. The busy bag is a great way to include the Valentine’s Day theme in your little one’s day! I love simple activities and this one is made with materials that will last a long time even with continuous use. Craft foam is a great material to use with young kiddos too! It doesn’t rip like paper and it can be used as reusable stickers on windows AND sticky walls! 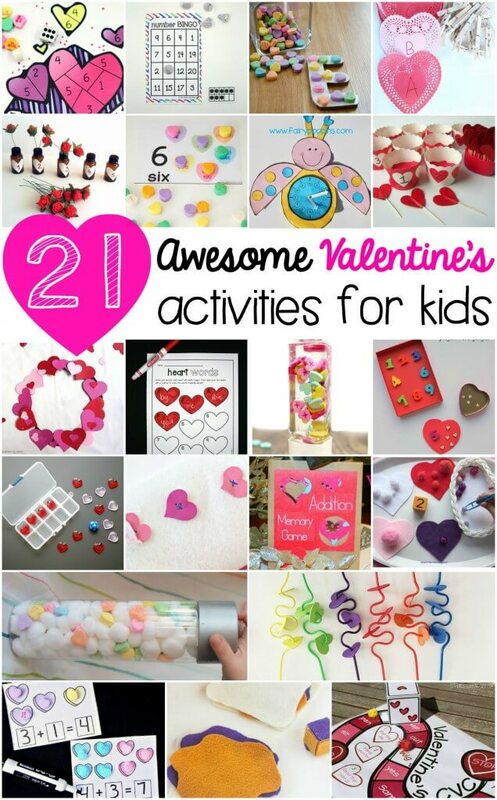 For even more Valentine’s Day activities for kids, check out these ideas from some fantastic bloggers!